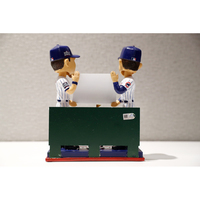 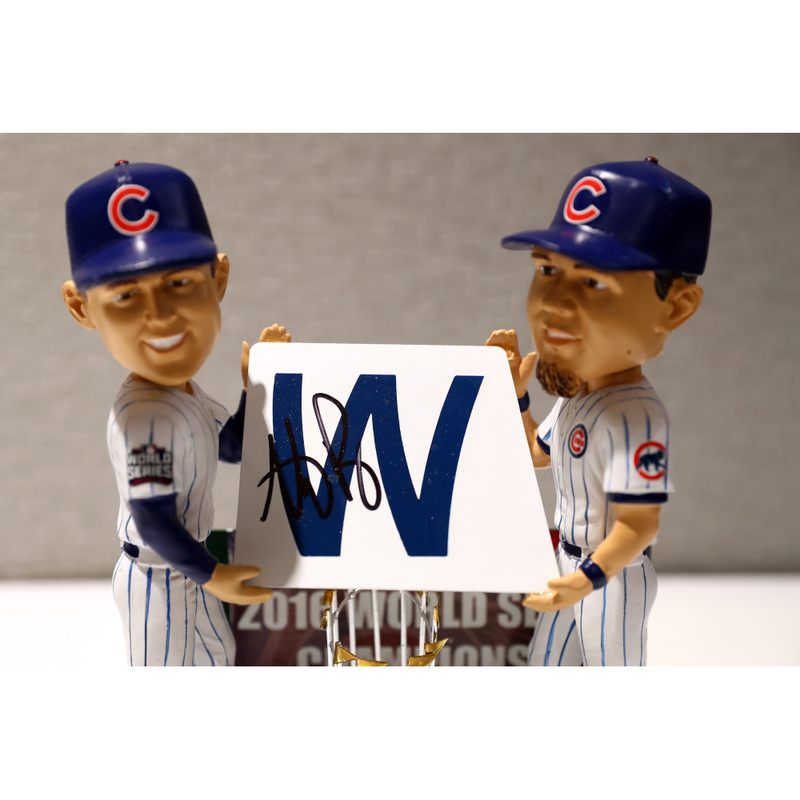 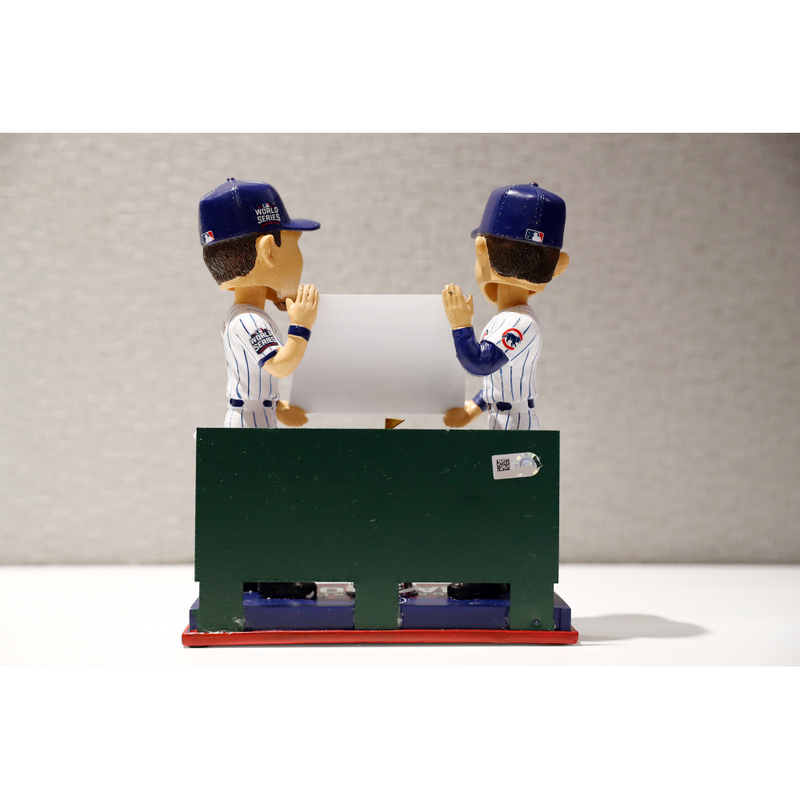 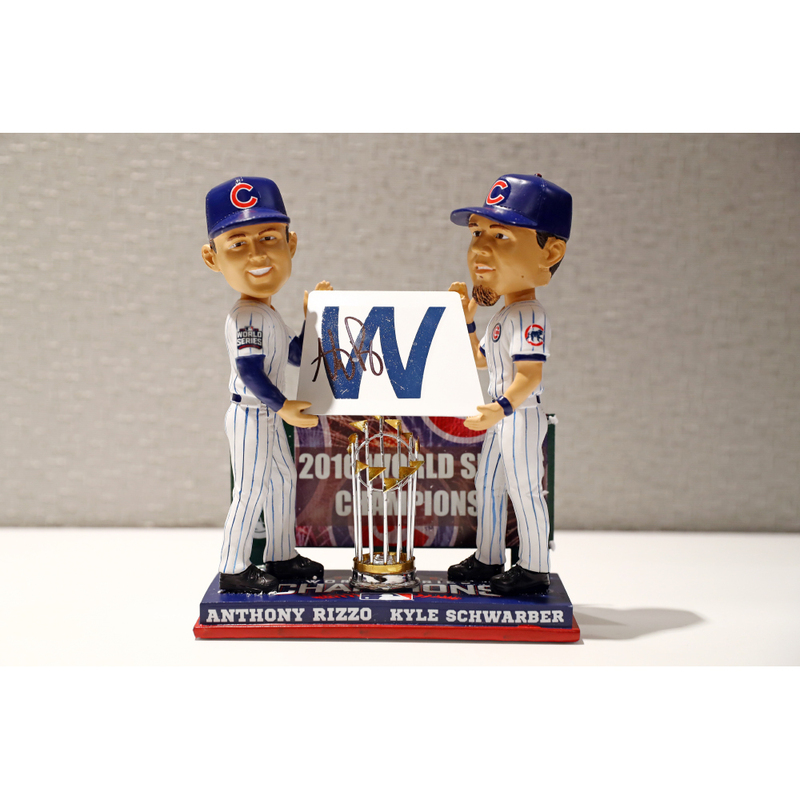 This limited edition bobblehead features Cubs stars Anthony Rizzo and Kyle Schwarber and is autographed by Anthony Rizzo. 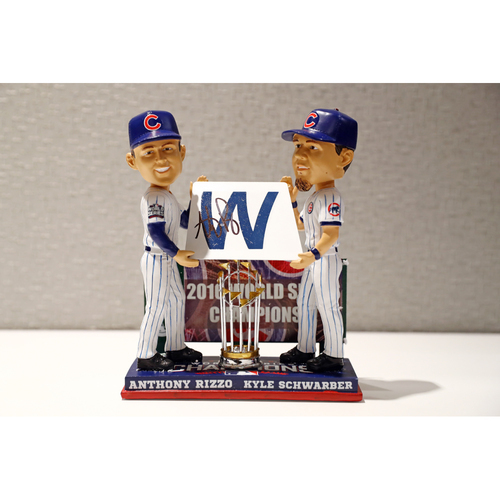 In this bobblehead, Rizzo and Schwarber are holding the Cubs 'Fly the W' flag next to their 2016 World Series Champions Trophy. This autographed item has been obtained under the auspices of the MLB Authentication Program and can be verified by its numbered hologram at MLB.com.